Text by Ward Meeker. Data compiled by Alan Greenwood and Gil Hembree. 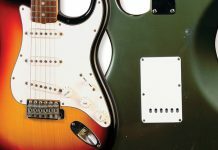 Guitars have unique status as functional, tactile art that inspires players and music fans alike. 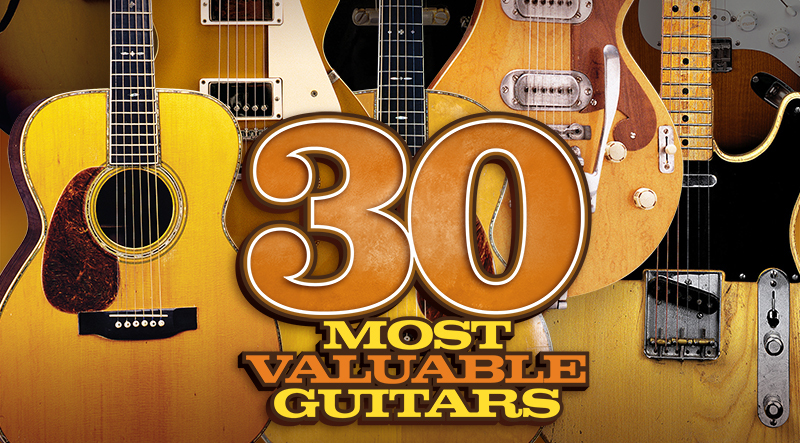 To help mark VG’s 30th anniversary, we’re taking a look at the 30 most-valuable production guitars, as determined by research for the The Official Vintage Guitar Price Guide 2017. 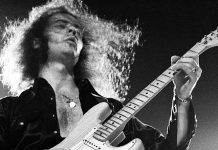 What makes certain guitars worth so much? Innovative materials, parts, and shapes, connections to players and/or songs, and mostly, the laws of supply and demand. Gibson got a bit ahead of things when it introduced three “modernistic” guitars in 1958. Of the two produced, the Explorer, especially, proved too broad a reach and thus got little attention from buyers. As a result, production numbers were very low. Amongst collectors, demand has always outpaced supply by a long shot. 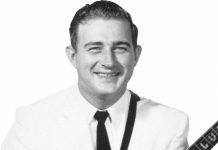 In ’63, Gibson – being frugal – dug the remaining handful of bodies from a back room and sent them out with the then-standard nickel hardware. Those stamped that year bring less – $245,000 to $341,000. Gibson upped its game by giving its Les Paul a fancy maple top and sunburst finish. Still, it failed to catch on… until the 1966 release of John Mayall’s Blues Breakers featuring Eric Clapton and its subsequent adoption by Michael Bloomfield and other top-tier players of the late ’60s, including Jimmy Page, Duane Allman, Paul Kossoff, Billy Gibbons, and Jeff Beck. Today, some say the “’Burst” is the reason solidbody guitars are so collectible. The greater the figure in its maple top, the more it is desired by collectors. 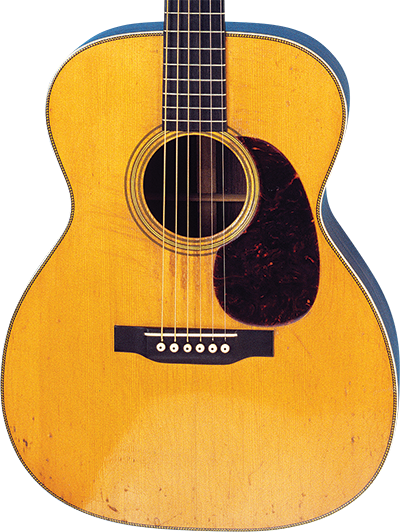 Vintage Martin dreadnoughts represent the height of steel-string acoustics, and those dressed the fanciest – the Style 45, with Brazilian-rosewood back and sides, ivory-bound body and neck, and fancy fretboard inlays – were too expensive for most players during the Depression. Few being produced, like the Explorer, demand amongst collectors has always greatly outpaced supply. Another example of how rarity drives values, the OM-45 was made in small numbers each year (barely double-digits). 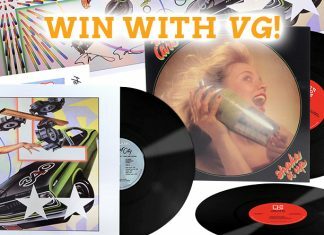 The first-year “Deluxe” version brings the highest dollar. Gibson’s other “modernistic” Korina-bodied guitar, like the Explorer, it was initially offered only two years. Its V-shaped body was eyecatching, but still did not prove popular. Ultimately, only 98 were made. 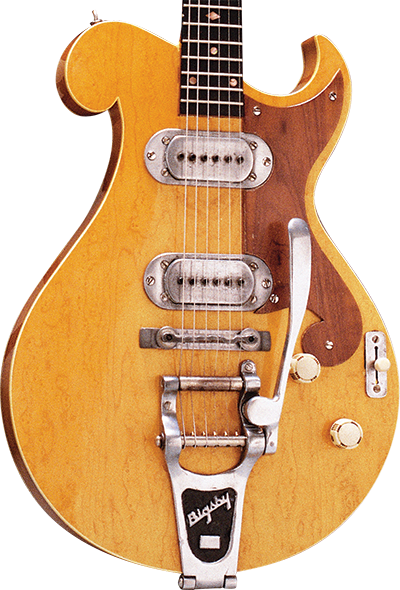 Most famously used by blues legend Albert King, it was reintroduced in the ’70s with a more-traditional mahogany body, which then became popular amongst rock players. 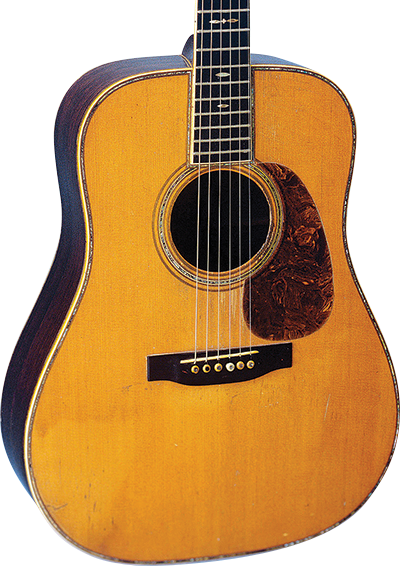 One look at inventor Paul Bigsby’s guitar tells of its influence. Bigsby built only a handful of instruments – a mandolin, a tenor, a doubleneck, etc. 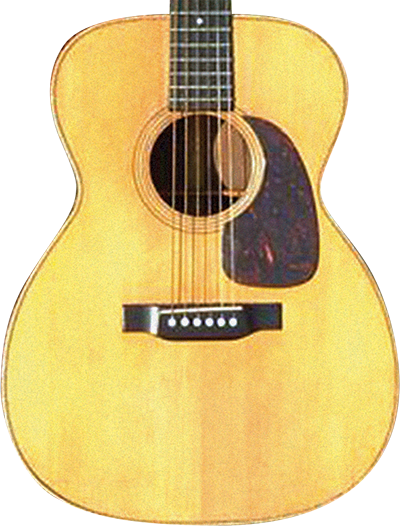 But his Spanish-style electrics – the first built for star picker Merle Travis – provided a template employed just a few years later by Fender and Gibson. 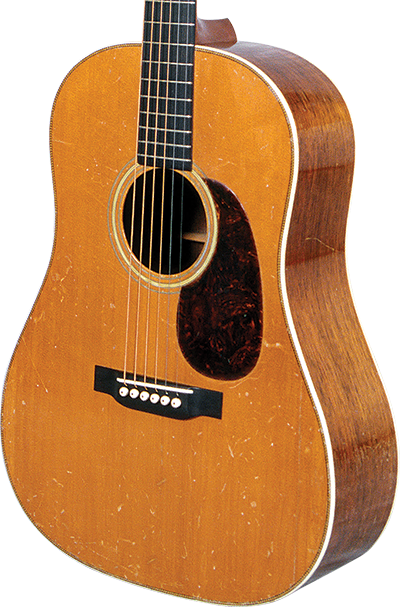 Though not as fancy as the D-45, its $100 price tag still put it mostly out of reach in the midst of the Great Depression. Thus, production stayed low. 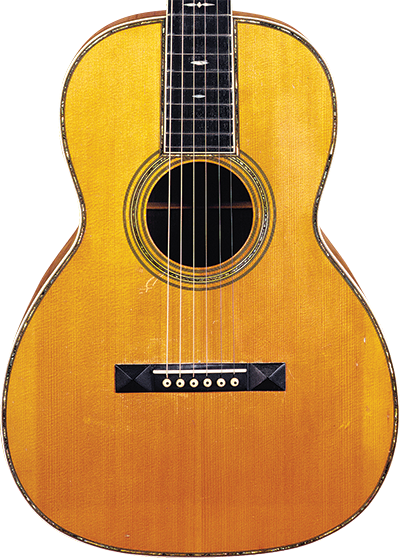 One of the models that mark evolutionary changes at Martin, 1934 marks the year Martin transitioned to a 14-fret neck, creating the version preferred by collectors. A dressed-up solidbody showpiece first built for Jimmie Webster to play at trade shows, it was produced in small numbers. 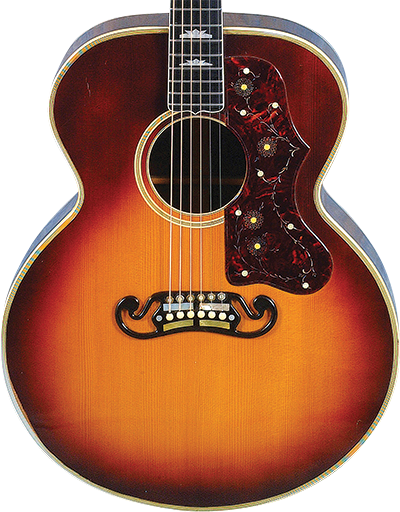 The single-cut version is most coveted, and brings a premium if it happens to be in Gretsch’s “snowflake” case. 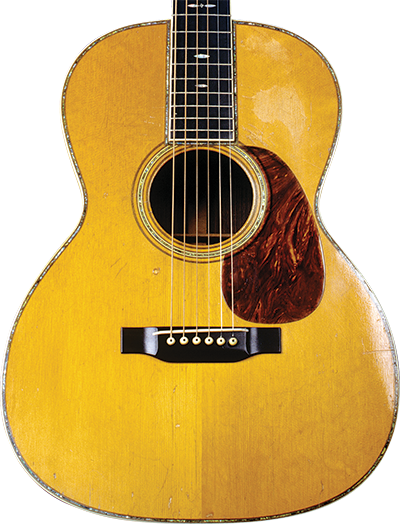 Fender’s venerable offset double-cut first shipped in the spring of 1954; short-lived features on the earliest ones (as valued here, with shorter control knobs, pickup covers and pickguard made of Bakelite, serial number on vibrato plate) bring top dollar. 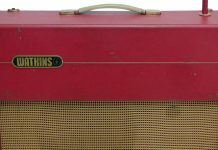 Design tweaks in ’55 made it more durable and easier to produce, and the guitar was produced in large quantities; still, custom-color versions – especially the transluscent-white/gold-hardware version collectors call the “Mary Kaye finish” – bring a premium. 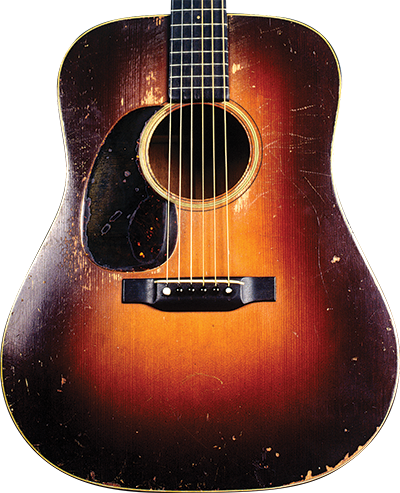 Gibson’s answer to Martin’s D, it was larger, showier with its sunburst finish and “moustache” bridge, and wound up in the hands of many a big-screen singing cowboy. 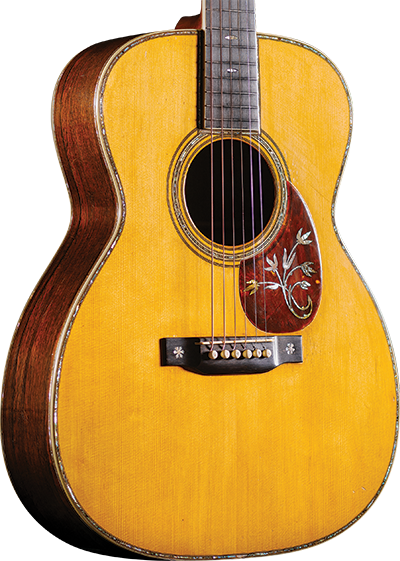 Luthier James D’Aquisto (d. 1995) apprenticed under the famed John D’Angelico. Favored amongst collectors are higher-end models like the Avante Garde, Centura, and Solo, preferably in natural finish. 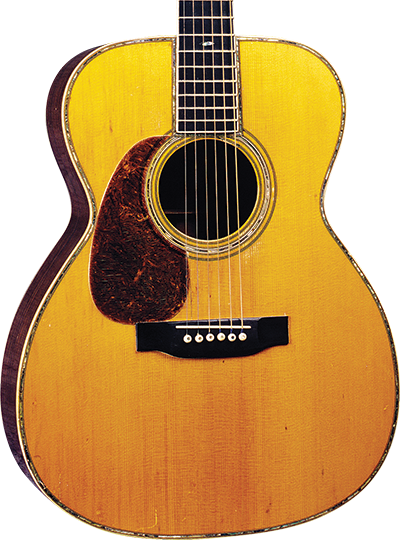 Unlike other Martins, the first version today is most revered, with its “pyramid-end” bridge and banjo-style tuners. Gibson’s original Les Paul, the “goldtop” was refined through the early/mid ’50s until it peaked in ’57, when it was used to launch the company’s new “humbucking” pickups. 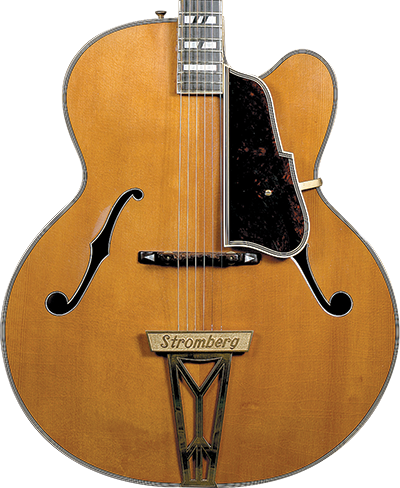 Gibson’s thinline concept crossed attributes of hollowbody and solidbody guitars and became one of the classics. 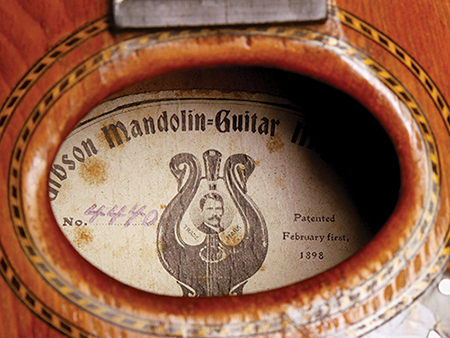 The earliest ones – with dot inlays on the fretboard – are the most collectible. 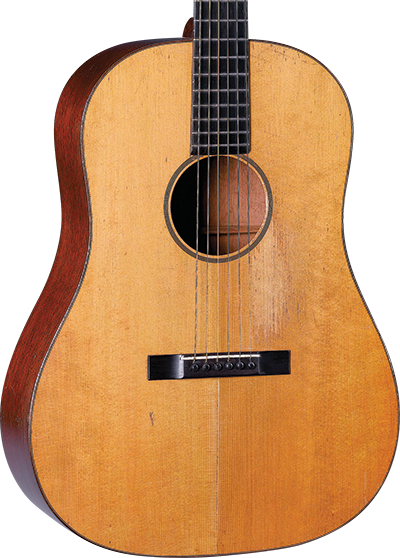 Made by Martin, it was built for a music distributor but employed an X-braced top and served as the basis of Martin’s own later dreadnoughts. Ditson Style 111 courtesy of C.F. Martin Guitars. The original – and just slightly smaller – version of the Super Jumbo. Hand-made and carved by Orville Gibson, they have a white rectangular label signed “O.H. Gibson” with a photo of Orville and a lyre-mandolin. Values here are for all-original or refurbished examples of the rarest styles. Examples refinished in black likely were done later by Gibson. The fanciest version of the original Les Paul, it was given a black finish (Les’ personal preference), binding on its body, neck, and headstock, gold-colored hardware, and block inlays on the fretboard. The addition of a third humbucker made it a true standout – at least aesthetically. The models made personally by the company founder in his “pre-factory” days have entered the realm of true collectible. Those with maple tops draw greatest interest. 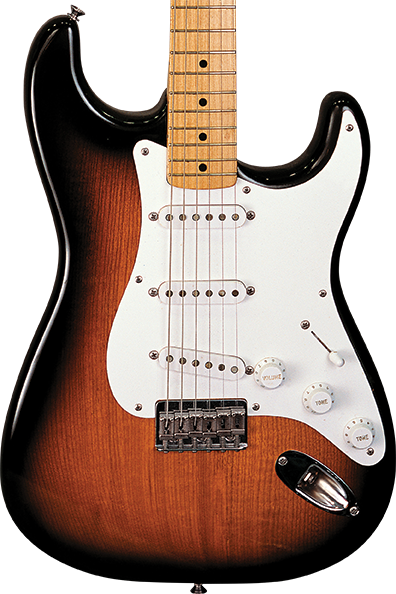 Leo Fender’s first Spanish-style guitar has a simple single-cutaway design, and its workingman’s appeal never waned. Known today as the Telecaster, it’s one of the “big three” collectible electrics. 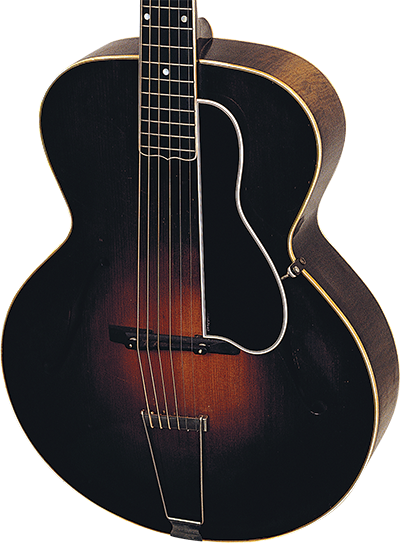 From the violin-influenced mind of acoustical engineer Lloyd Loar, it was unlike any other Gibson at the time. See the feature on it and its fellow Master Models in this issue. 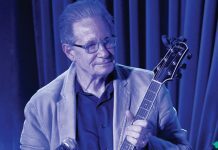 John D’Angelico started luthier training at the age of nine and studied violin making, which influenced his archtop designs – some of the finest instruments ever made. Natural finish ones bring the highest dollar. Famously employed by Freddy Green with the Count Basie Orchestra, it was soon considered the ultimate orchestral guitar for anyone who needed that sort of power and projection. As with most archtops, collectors’ pockets get deeper when cutaway versions in natural finish are on the line. First of the 14-fret models. 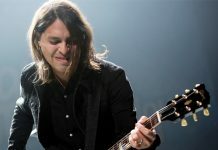 Leo’s budget-friendly version of the Telecaster, its lone pickup was often wound hotter because it didn’t have to be matched with one at the neck. This article originally appeared in VG October 2016 issue. All copyrights are by the author and Vintage Guitar magazine. Unauthorized replication or use is strictly prohibited.